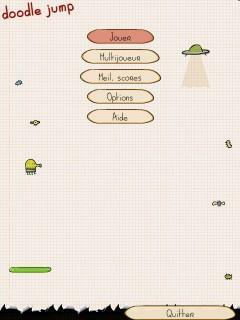 Doodle Jump - for windows mobiles. Click on screen left or right to move , tap to shoot. App is in French.. NO Accelerometer support.